Størrelse af denne forhåndsvisning: 800 × 559 pixels. Andre opløsninger: 320 × 224 pixels | 640 × 447 pixels | 1.000 × 699 pixels. Português: Índios isolados no estado brasileiro do Acre. 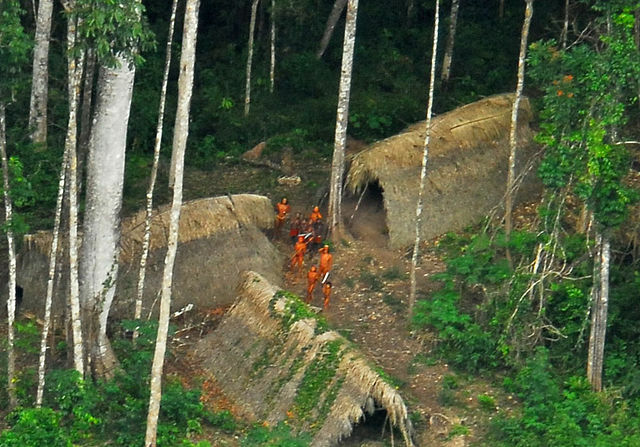 English: Uncontacted indigenous tribe in the brazilian state of Acre. This image was originally posted to Flickr by Agência de Notícias do Acre at https://www.flickr.com/photos/40981322@N06/3793962870. It was reviewed on 29. januar 2013 by FlickreviewR and was confirmed to be licensed under the terms of the cc-by-2.0.